Adopt, donate or be a volunteer! Choose to make a difference and your heart will thank you for it. 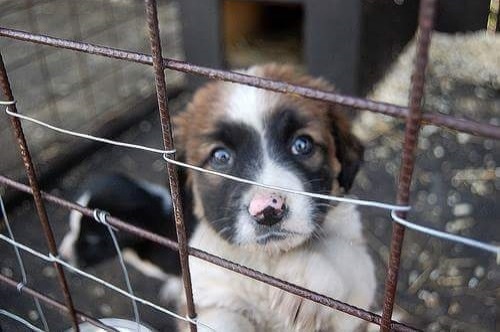 FREELIFE Organization from Satu Mare has more than 500 dogs in their shelter situated near the South Industrial park. Come and visit us and take one home. BE CAREFUL! The affection generated by the dogs from the shelter can be addictive and could make you forget about stress. YOU CAN SUPPORT US BY MAKING A DONATION, ADOPTING A DOG OR GIVES A HAND AT THE SHELTER OR THE EVENTS. CHOOSE TO MAKE A DONATION AND LOADS OF DOGS WILL WIGGLE THEIR TALE AND THANK YOU FOR IT. You can follow us on our Facebook page. Give us a like, come to the Events organized by us or choose to help us how you can. If you want a puppy don't forget to visit our shelter. Before you buy a dog...make a visit to a dog shelter. Walk between the cages, look at every dog to see the suffering and dissapointment in their eyes. If you get out of there without adopting a dog, you should reconsider if you really want one. We are a non-profit that fights for animal rights, but on top of anything else we are a handful of people that joined together under the same concept, motivated to help stray animals, FREELIFE Organisation. The dog is man's best friend...and we like to help out our friends. And not just dogs. We rescue and give out for adoption, cats as well as other animals. We are struggling to sterilize and castrate as many animals as we can in order to reduce the number of strays. Mother Teresa was saying that "Helping hands are better than praying lips" and this is what we are trying to accomplish here at FREELIFE. We strongly believe that animals shouldn't suffer, and its our duty to make sure that they don't. © FREELIFE ORGANISATION SATU MARE 2016-2019. All rights reserved. | Made in collaboration with LET ME BE.